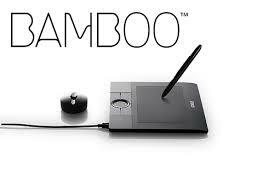 We use a Bamboo Pad ($40) a tablet to write on and the software Camtasia ($100 for Mac, $150 for Windows). 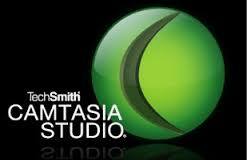 Camtasia is screen capture software that allows you to easily edit your videos. This is important for all those mistakes that happen when you want to edit just a small portion of your lesson. We create lessons on SmartNotebook which comes with SmartRecorder allowing you to stand at the Smartboard with a Microphone to record videos as well. We were unable to edit these videos and were only able to make videos at school. How long does it take to make a unit? We each differ, depending on how many of our problems can be computer generated and the amount of time spent having fun with the video. We spend anywhere from 50-150 hours to complete each unit! However, when the first group of students make it to our lessons, we typically make adjustments and changes to make it better. Our first year was extremely labor intensive and really only possible because we shared the workload. Kuta software comes in extremely handy for making multiple versions quickly. What do your Mastery Checks look like? Mastery Checks should take students 10 minutes or less. We typically have 5 questions in which students must correctly answer at least 4. This means students only get one mistake! 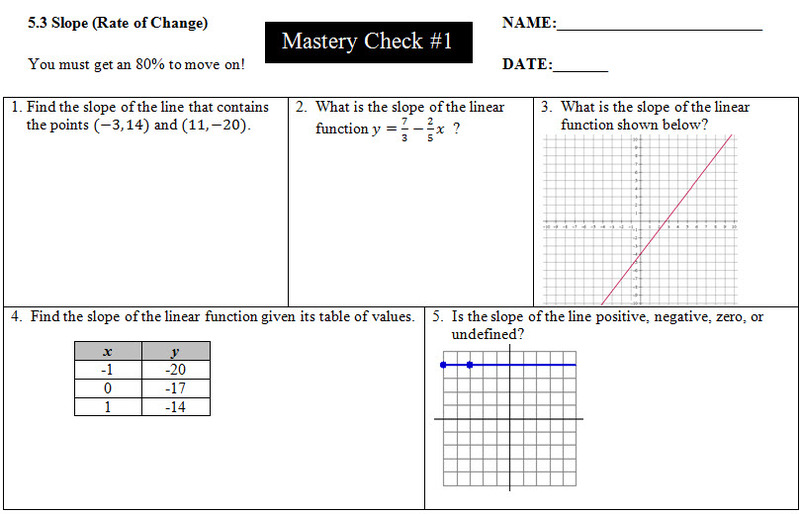 Our Mastery Checks are formative assessments from the Practice portion of the section. This is the most powerful part of our Flipped Mastery Model, providing instant feedback to the students. We have yet to find computer software that can give the instant, detailed feedback that we can. Where do we post our videos? This website was created on Weebly. 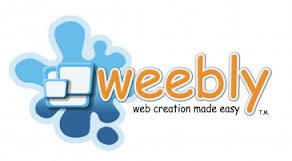 This is an incredible user friendly website creator. You Tube is blocked by our filters at school so we only post here. You can start with a free account at Weebly or upgrade to Pro users. We went for the upgrade because we wanted to be Pro at something. What does your gradebook look like? We like to time stamp when students attempt mastery checks. Spencer came up with this awesome spreadsheet to use. When the student takes a mastery check we put the date and a 1 if they pass. The 1 represents the student passed on the first try. If thee student fails, then we put an X and the date. When the student passes the mastery check we put the date and the number of tries it took. This way, we have a log of how often students are attempting mastery checks. The template shows quarter one. Cells shaded grey mean that the student completed them in the first quarter. Cells shaded orange mean that students completed them in the second quarter. This gives us an idea of where students are at and what grade changes need to be made. How can I start flipped-mastery in my classroom? You are more than welcome to use any of the resources we put on our website. We appreciate shout-outs and any feedback that you have. We really want to spread flipped-mastery teaching. We have seen unprecedented results in our classrooms from changing to this style of teaching. We recommend finding 2 or 3 other teachers to share the workload and start making your own videos. Kids really have enjoyed our own personal videos rather than generic videos online. You can even do this by yourself if you take one year to just flip the class where the homework is the video and in class is the practice ending with a mastery check. We feel this method isn't as powerful because your class progresses regardless if the student passes the mastery check. Ensuring mastery is the key to this program. However, once you have created all the materials by doing a flipped classroom, the following year you could open it up to flipped-mastery.